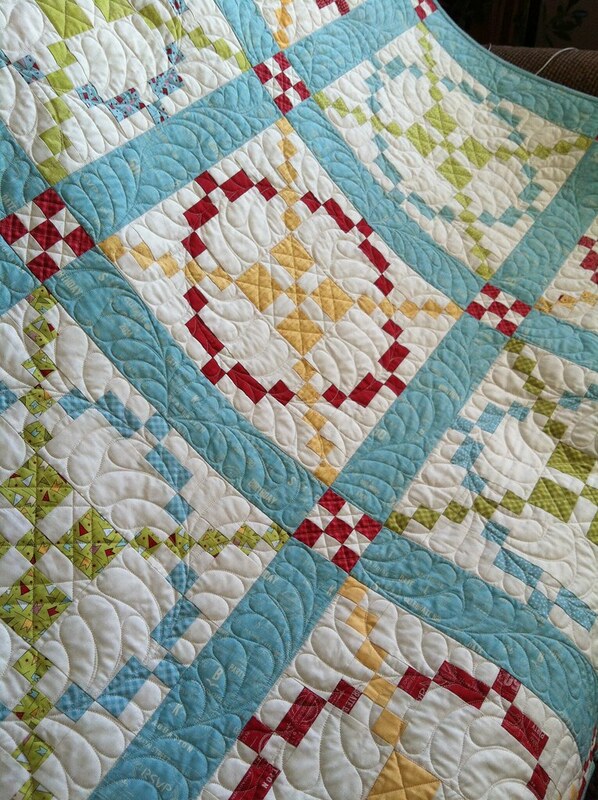 Today we are telling you a little bit more about the American Patchwork and Quilting Tone it Down Quilt Along. Have you seen this quilt? We are joining in with a bunch of our favorite quilters to blog about the Tone it Down quilt by the lovely Lissa Alexander, aka Moda Lissa. 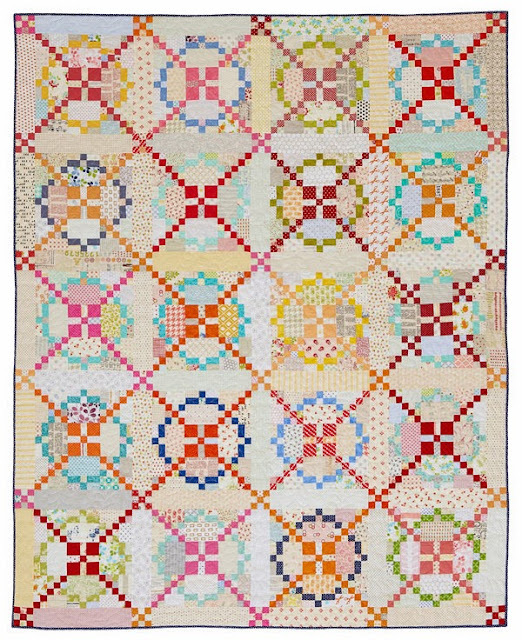 Her version, which appears in the February issue of American Patchwork and Quilting, is perfectly scrappy, entirely low-volume, and really beautiful. Like I explained in our first post, the scrappy lifestyle just doesn't come naturally to me, so I opted for a "planned-scrappy" version of the quilt. 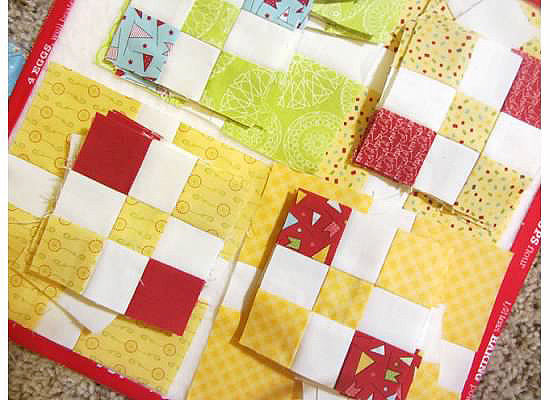 Using the Wishes collection by Sweetwater, I made these big blocks with a scrappy feel and separated them with colorful sashing. The blue really adds something extra, don't you think? 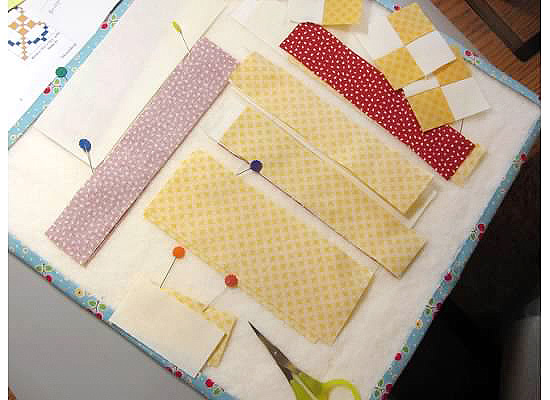 When piecing blocks, I use my design boards to keep everything neat and organized. With all of the little pieces in the Tone it Down blocks, the design boards were a big life saver. And my cute redheaded helper did a little cutting for me! 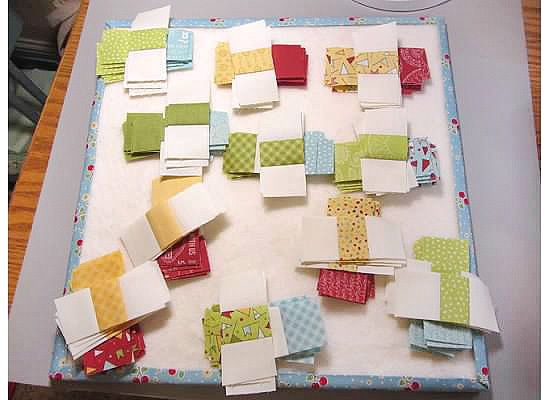 With all of these small squares, it is important to use an accurate quarter inch seam allowance. Be sure to sew with a quarter inch" foot, or to use a quarter inch guide on your machine! 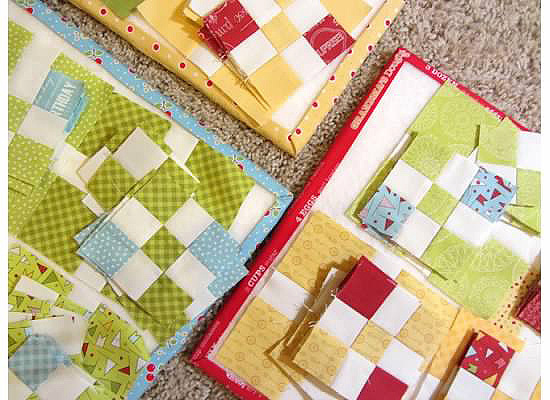 Do a quick test before starting the Tone it Down Quilt Long to keep your quilt accurate. These little pieces come together really quickly. 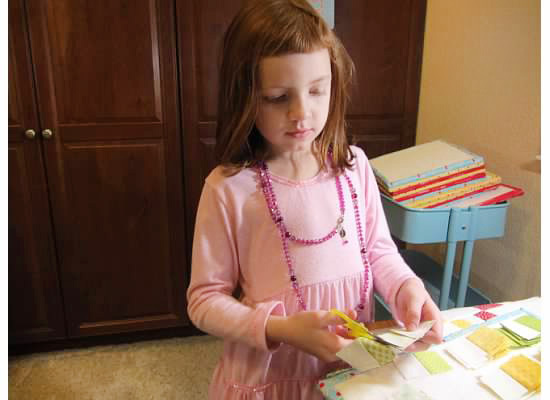 Will you join in the APQ Tone it Down Quilt Along? Will you try a scrappy version, or go with a "planned-scrappy" version like me? Get your magazine today and start sewing with us! P.S. more versions from ModaLissa, Camille Roskelley, A Quilting Life, Amy's Creative Side, Bunny Hill, Quilt Jane, Primitive Gatherings and Miss Rosie's. Go tell them how much you love their Tone it Down quilts!